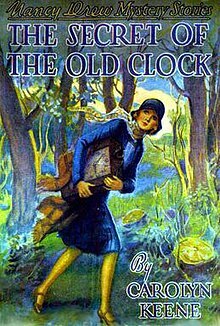 A few days ago, CBS announced plans to develop a TV series based on Nancy Drew, the 85-year-old mystery series about a girl in a cloche investigating missing clocks. (Stay with me. We’ll get there.) Or at least, that’s how I remember Nancy Drew from the spinner racks at school libraries. The Deadline story about the project, however, says the proposed series will center on an NYPD detective who “investigates and solves crimes using her uncanny observational skills, all while navigating the complexities of life in a modern world.” It doesn’t take a world-class teen sleuth to realize that this new Nancy Drew isn’t as much inspired by the source material as it is by everything else currently on the airwaves — at least the shows that aren’t about Naval officers investigating murders and/or gumbo. CBS isn’t buying a timeless idea so much as it’s investing in a famous name. Perhaps I’m being overly cynical. Maybe The Mysteries of Nancy Drew will be really good.1 The verdict on that will be rendered next fall, should the project make it all the way to series. 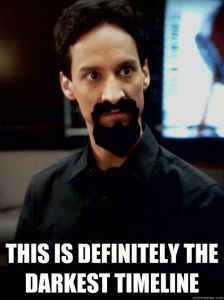 But the fact remains that CBS’s North Star isn’t the Emmy-winning The Good Wife, it’s Elementary, another modern reinterpretation of a graying property. And why not? Elementary is a money-printing hit, able to be exported to countries around the world. The network’s biggest hit this fall is Limitless, based on the movie. Its best pilot? Supergirl, based on the comic. In the spring, both will be joined by Rush Hour, based on Chris Tucker’s bank statement. Welcome to television’s great Xerox Age, in which brands are more valuable than ideas, and awareness carries more water than affection does. That sounds bad, but it doesn’t have to be. Because while it’s true that a great majority of the cynical franchise extensions masquerading as television shows fail and fail hard — either creatively, commercially, or, in the unhappy case of Fox’s Minority Report, both — a surprising number of them work. Both Parenthood and Friday Night Lights found ways to deepen and enrich previously realized worlds. Netflix’s Daredevil and the CW’s The Flash are smart, engaged reimaginings of characters who each are older than CBS’s core audience. The truth is, good television can bloom from nearly any seed, no matter how dusty. That’s because, unlike other mediums, TV plays the long game. The goal isn’t always to make the most beautiful flower. The goal is to keep the flower alive for as long as possible. What Fargo does is suggest a third way: Buy some fertile soil from somebody else and then seed it with all manner of delightful, idiosyncratic strangeness. Not that this was obvious from the start. When FX first announced the project, in 2012, I dismissed it as yet another calculating bit of corporate flimflammery: a network afraid to invest in something new, an industry with nothing left to say. What actually happened was something far cannier. By green-lighting a high-profile adaptation, FX boss John Landgraf was indeed bowing to the new reality of the business: In a buyers’ market for serialized storytelling, no one but HBO is shelling out millions to an untested writer with a clever idea for a mystery — and after the debacle that was True Detective Season 2, there’s an argument to be made that no one should be doing it, full stop.2 But by encouraging the adaptor, novelist turned showrunner Noah Hawley, to take his cues from the freewheeling spirit of the movie instead of its actual story beats, Landgraf provided his network with the rarest of flora: an innovative, exciting crime franchise that, from nearly the moment it arrived, felt like an old friend. Note that I said “nearly.” Even with the benefit of hindsight, I’d argue that the first season’s tenuous connection to the Coen brothers’ 1996 masterpiece was more curse than blessing. In its opening installments, the series performed a complex sort of creative karaoke, bogarting the movie’s unique hot dish of Minnesota nice and murderous noir but seasoning it with all new characters and situations. I didn’t love the pilot, mainly because it appeared to be trying so much harder than William H. Macy in an auto dealership. And, in retrospect, why wouldn’t it? The task was one worthy of Paul Bunyan. Hawley was attempting to ape (but not copy) the inimitable Coen brothers while simultaneously trying to distinguish himself as an auteur and his project as a viable, audience-grabbing concern. It’s a surprise the screeners didn’t arrive drenched in flop sweat. About three hours in, though, the ratio of imitation to innovation began to reverse. By the end of the season, Fargo was enchanting entirely on its own terms. Allison Tolman’s Molly Solverson wasn’t appealing because she reminded us of Marge Gunderson; she was appealing because of the way she did her job and the quiet fierceness with which she loved her father, Lou, and her eventual husband, Gus. The Coen brothers tend to look at normalcy askance, as if life were a long, cruel joke best spent cringing in anticipation of the punch line. Hawley relied on a more simplisic worldview — outside the home, evil lurks like a wolf; inside, a warm fire burns — but it’s one I’d argue is more attuned to the naturally comforting rhythms of weekly television and one that, when done right, can be extremely satisfying. It’s not worth worrying about subverting crime fiction on TV when so few have been able to master it in the first place. A similar, traditional dynamic is afoot in Fargo’s second season, which turns the clock back to 1979, focusing on the “Sioux Falls incident” Lou Solverson mentioned to Lorne Malvo during a tense Season 1 standoff at the diner. Once again, a Solverson is a decent, dogged public servant tossed badge-first into a slush pile of organized crime and marital chaos. But this time Hawley isn’t obliged to carry any baggage but his own. Thus liberated, he unspools a fresh story that is razor-sharp and gleaming: Kansas City mafia goons — embodied by Brad Garrett and Bokeem Woodbine, equally terrific — are muscling in on the North Dakota territory controlled by the Gerhardts, a darkest-timeline Waltons led by stern matriarch Floyd (peerless Jean Smart) and short-tempered Dodd (merry Jeffrey Donovan). What appears to be a simmering if straightforward mob war is complicated when Rye, the youngest, dumbest Gerhardt, played by Kieran Culkin,3 goes rogue and winds up in a bloody pickle all his own involving a state judge, a Minnesota diner, and a small-town couple with big dreams (Jesse Plemons and Kirsten Dunst: terrific. )4 Soon enough, state trooper Lou (a heroic Patrick Wilson) is drawn in, along with his sheriff father-in-law, played with charismatic kindness by Ted Danson. Bullets fly, milkshakes are spilled, and, hey, overhead — is that a UFO? Sure, the lines connecting all of these eccentrics appear a little loosey-goosey at first — and I haven’t even mentioned side players, like the conspiracy-theorizing mechanic played by Nick Offerman — but Hawley quickly draws them tighter than a lasso. Unlike last year, when Oliver Platt’s supermarket magnate ended up serving as little more than plot spackle, all the pieces here fit, even if a few screws remain blessedly loose. Instead of piggybacking on an oft-told tale, Hawley is instead Trojan horsing storytelling that we rarely see on television, even in this supposed Golden Age: In the Kansas City syndicate, with its dapper menace, there are shades of Donald Westlake’s Parker novels; in the slow-moving, near-mournful honor of Wilson and Danson, there are echoes of Elmore Leonard’s arid Westerns. And throughout it all is a pervasive, infectious sense of glee. 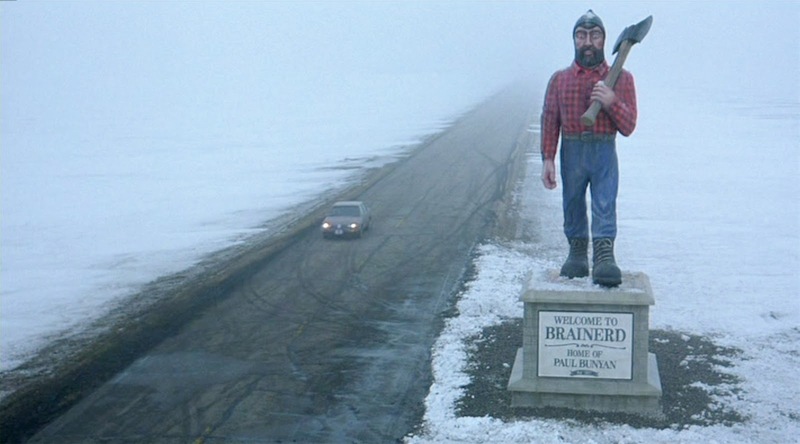 I can’t really underline this point enough: Fargo is rich, gripping, and suspenseful. But it is also fun in a way that cable’s grim arbiters of taste rarely allow drama to be. Hitmen trade hair-washing tips, a man brandishing a cattle prod steps away from a fight to buy doughnuts. Fargo’s world is highly stylized, sure — or should I say “you betcha”? — but I find its essential good cheer, its refusal to drown out life’s quieter moments with the loudest, a thousand times more plausible than, say, True Detective’s perpetual macho frown. The show’s look, always strong,5 takes a leap forward this year as well. Though still filmed in the depths of a Calgary winter, Fargo’s chilly vistas are sparked with all manner of jazzy visuals befitting the grimy, grindhouse decade in which it’s set: split screens that slide and click like Connect Four discs, dissolves that melt one scene into another like April snow. Is it surprising that a series based on old material can look so vital and new? Perhaps. In the wrong hands, an adaptation can be a license to coast.6 Here, though, it feels like permission to play: with camera angles, with emotions, with big shotguns and even bigger ideas. Does it say anything good about the state of TV that Fargo is one of the most original, joyful things on it? Not necessarily. But it says plenty of good things about Fargo. I’m not actually making this argument! I’m just saying that after eight weeks hammering Modelos in Vinci, it’s going to take some time before my heart is ready to sleuth again. Culkin is dressed like Steve Buscemi’s character in the original Fargo. That’s about as far as this season goes with direct homages. Plemons, with his wide-open prairie face and more than a few extra pounds packed onto his frame, is especially good. He looks oddly comfortable behind the counter of the Luverne, Minnesota, butcher shop! In retrospect, one of the more amazing things about Fargo last year was the way it stayed visually consistent throughout despite using five directors — and none with the cinematic pedigree of, say, True Detective’s Cary Fukunaga. See Fox’s Gotham — but please don’t watch it.